On Friday, the 2016 World Series of Poker Main Event played down from 800 players to the final 251. Bryan Piccioli, who won the 2013 WSOP Asia-Pacific $1,100 No-Limit Hold’em Accumulator for his first bracelet, bagged and tagged the chip lead with a count of 4.026. Hot on his heels is the winner of the 2014 Big One for One Drop Dan Colman, aka Mr. Smile, who sits with 3.711 million. 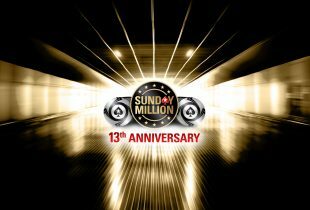 Others who will be vying for the $8 million first-place prize in the Main Event are Australian James Obst (3.003 million), German wunderkind Chris Frank (2.437 million), Vegas pro Tom Marchese (2.108 million), and Gaelle Baumann (1.791 million), who bubbled the 2012 November Nine. We counted five women remaining, all top pros. 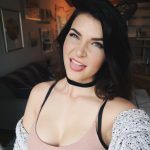 Besides Baumann, these are Melanie Weisner (9/3,078,000), Louise Francoeur (35/2,107,000), Jennifer Shahade (157/976,000), and Maria Ho (196/691,000). Meanwhile, just two former champs still have a shot at recapturing the glory: Johnny Chan (968,000) and Greg Raymer (992,000). The former is looking for his first WSOP cash since 2012. 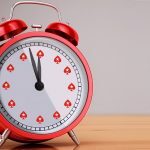 Among those to take their leave on Day 4 were 2013 WSOP champ Ryan Riess (271st/$36,708), Argentinian bracelet winner Ivan Luca (316th/$32,130), former PCA champ Dimitar Danchev (362nd/$28,356), online nosebleed player Alexander Kostritsyn (399th/$28,356), and Antonio “The Magician” Esfandiari (449th/$25,235). Another to fall was Cord Garcia, who won last year’s Colossus, the largest live tournament in poker history. 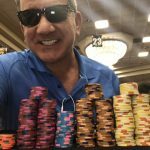 Garcia got his last 250,000 or so all in from the small blind on Friday holding the 9 ♣9 ♥ and found himself up against the 10 ♠10c ♣ of Bobby Corcione in the big. The board ran out a clean A ♦8 ♦8 ♠A ♣5 ♠ and Garcia was sent to the rail in 376th place for $28,356. What began with 4,360 entrants in Event #69, the $1,000 Little One for One Drop, is now down to the final 104. Guillaume Diaz is the man best-positioned to make a run at the $525,520 first-place prize, with 1.282 million in chips, while Samer Al-Shurieki sits in second place with 1.04 million. Others returning for Day 3 are poker pro Calvin Anderson (810,000), 888poker’s Bruno Kawauti (586,000), the disgraced Chris Ferguson (561,000), two-time bracelet winner John Monnette (233,000), and 2010 WSOP Main Event runner-up John Racener (62,000). Among the players to finish in the money on Day 2 were former China’s Celina Lin (121st/$3,437), French Pro Fabrice Soulier (141st/$3,437), two-time Mid-States Poker Tour champ Johnny Hayes (168th/$2,998), World Poker Tour champ Kevin Eyster (240th/$2,640), and Daniel Negreanu (401st/$2,105). Regarding Negreanu, he got involved in a hand with Pedro Oliviera on a Q♠7♠2♥ flop. Oliviera checked, Negreanu bet 6,500, and Oliviera called to see the 4♣ turn. Oliviera checked and then called when Negreanu moved all in for 28,800. 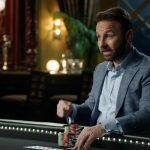 “This is my first crazy bluff of the tournament,” said Negreanu before showing the 5♥5♦, which was behind the Q♣8♦ of Oliviera. The 8♠ river was no help to Negreanu, and his 2016 WSOP came to an end. 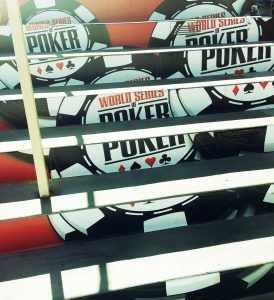 Day 5 of the 2016 WSOP Main Event will kick off at noon PT on Saturday. Five more two-hour levels will be played. Then, at 2 pm, Day 3 of the Little One for One Drop will begin with the plan of playing down to the final table.